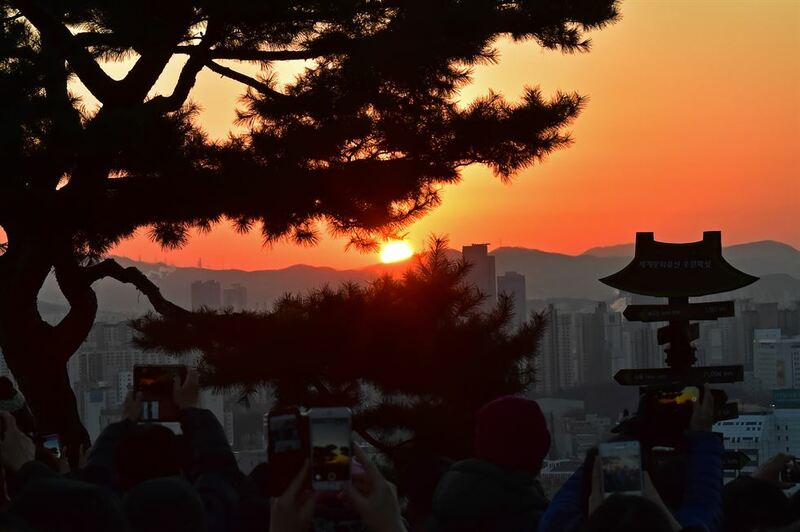 If you want to open 2019 with a bell-ringing ceremony, Yeomingak of Suwon Hawseong Fortress in Gyeonggi Province is a great place. Twenty selected Suwon citizens will ring the bell. Naksan Park on top of Naksan Mountain near Hyehwa Station offers a panoramic view of northern Seoul. 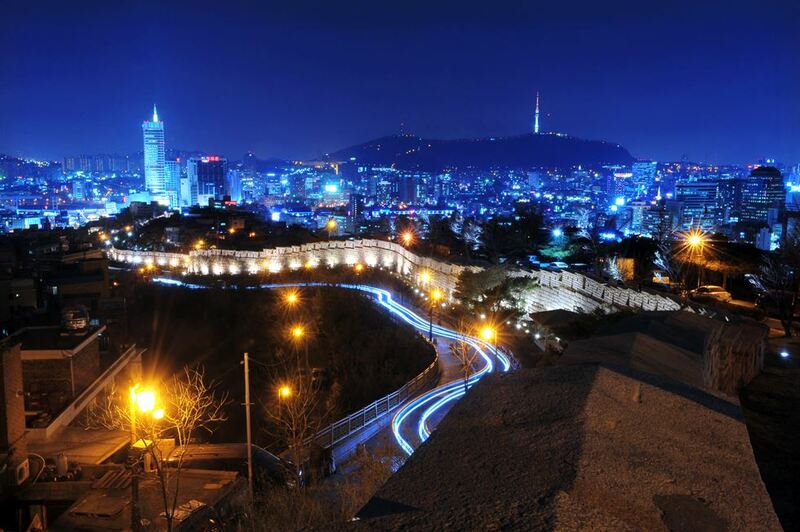 Surrounded by Seoul Fortress, it also offers a good walk alongside the wall. 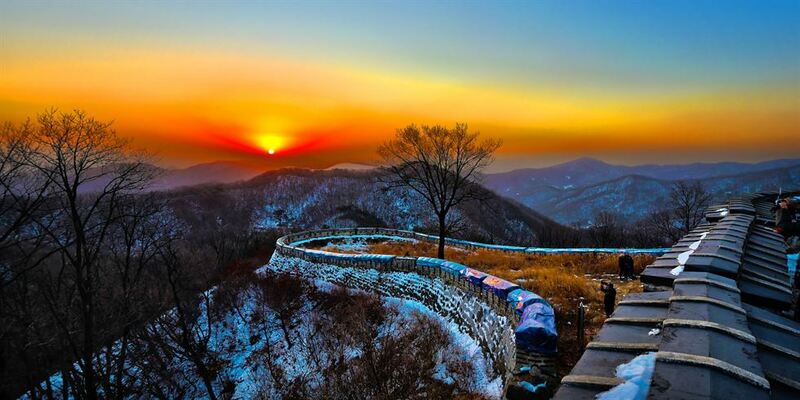 For climbers, Namhansanseong Fortress in Gwangju-si, Gyeonggi Province is a great place to greet the first sunrise 2019 through the trees. 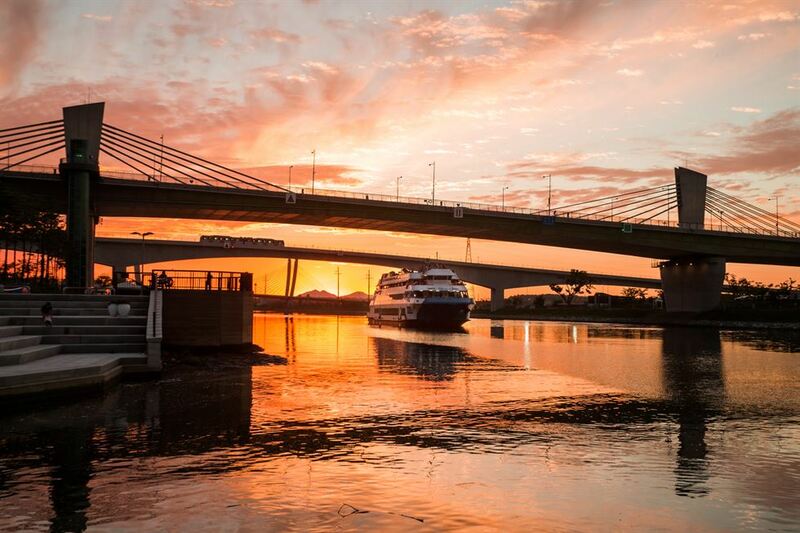 The four gates in east, west, south and north are lit in the dark before the sunrise. Located in Gunsan, Gyeonggi Province, Bieung Port was an island before 1994 when a Saemangeum Seawall was built to connect it to the mainland. 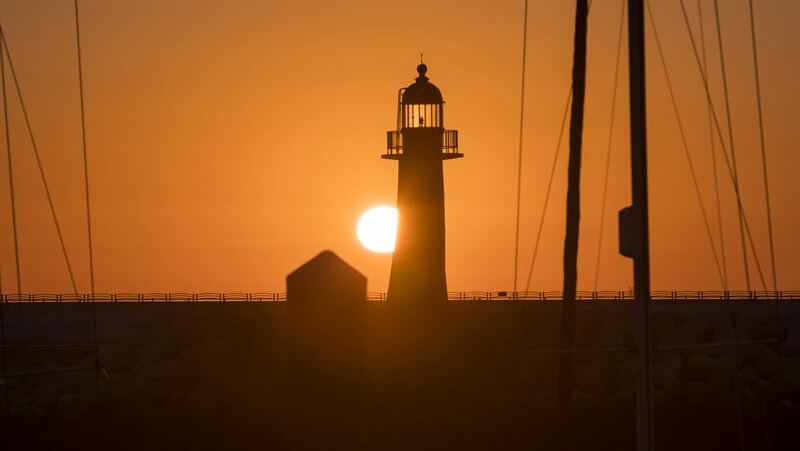 Sunrise with the background of the silent West Sea, red and white lighthouses and seawalls offers peaceful moments. 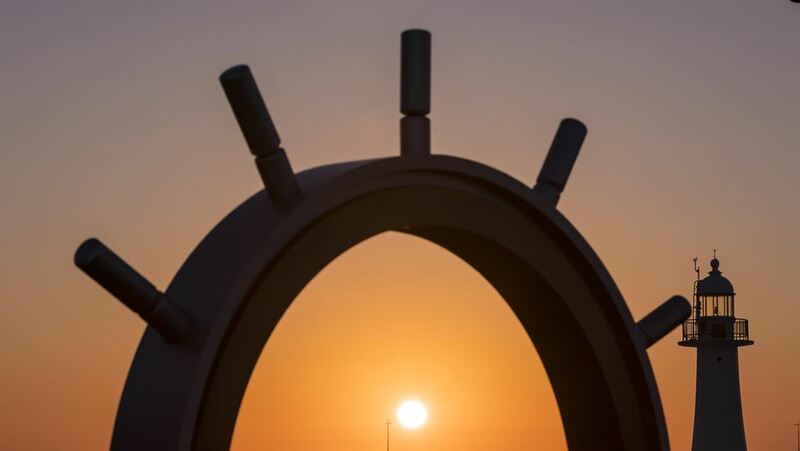 If you feel too lazy to wake up early in the morning, you could choose to watch the sunset instead of sunrise, and Jeongseojin, Seo-gu in Incheon would be a great choice. 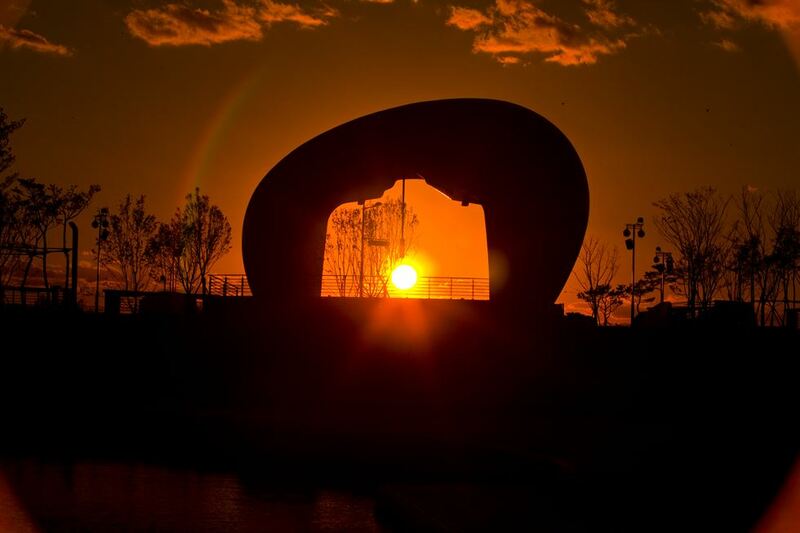 A pebble-shaped bell called "Noeuljong," meaning "sunset bell" in Korean, is a landmark in Jeongseojin. 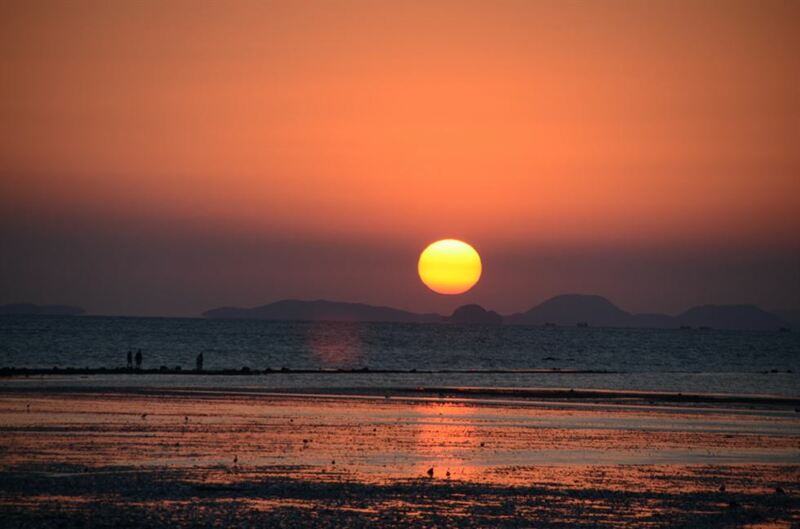 Tando Port, on the west coast of Ansan, Gyeonggi Province, is also a hidden spot from where you can enjoy a beautiful sunset. 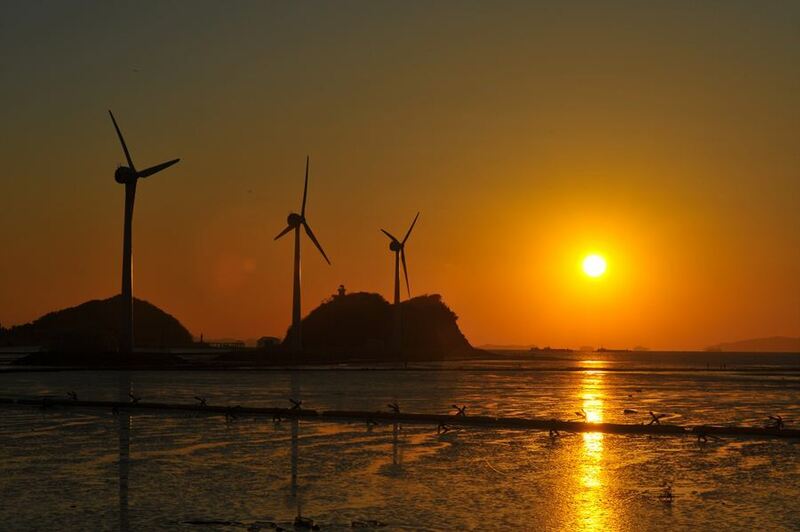 The sunset over the wide tidal flats, Nue Island and wind power generators offers picturesque views.